As a biography reveals, the most remarkable thing about the brutal gangster’s 16 years on the run isn’t that he evaded arrest for so long. It’s that he ended up in what he calls a love story. From the Boston Globe archives. James Whitey Bulger was found dead in prison on Tuesday. Adapted from WHITEY BULGER: America’s Most Wanted Gangster and the Manhunt That Brought Him to Justice, by Kevin Cullen and Shelley Murphy. Copyright © 2013 by Globe Newspaper Co. Inc. Published in February by W.W. Norton & Co. Inc. THE HUM OF HAIR DRYERS and the clatter of conversations in both English and Vietnamese washed over the woman as she opened the door at Fountain Hair & Nails. Sandwiched between a dry cleaner and a barbershop in a small strip mall, the salon was right off a main road in Fountain Valley, California, a sprawling suburb not far from Disneyland. It is one of those places where everything seems pleasant enough but nobody stands out, which made it a perfect stopping place for the fortysomething woman and the gruff-looking elderly man behind the wheel outside. Smiling politely, the woman said she didn’t have an appointment and asked whether anyone was available to color her hair. She was pressed for time, she said, her husband waiting impatiently in the car. She held up a package of blond dye she had purchased. The salon was filled with customers, but the owner, Kim, smiled and steered her toward an empty chair. Did her husband want to wait inside? No, thanks, said the woman. He stayed in the car, facing the shop’s large plate-glass windows, keeping her in sight the whole time. The woman made little conversation, paid cash — $16, plus tip — then slid into the passenger seat, and they were gone. Nothing about the January 2000 visit seemed remarkable to the salon owner until FBI agents showed up a couple of weeks later flashing wanted posters. 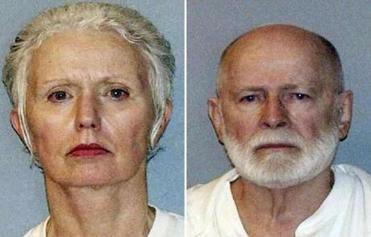 The agents had been alerted by a customer who watched America’s Most Wanted and recognized the couple as Whitey Bulger and Catherine Greig. America’s Most Wanted would devote 16 segments to the worldwide hunt for Whitey, all in vain, for he had transformed into the grandfatherly Charlie Gasko, and nobody recognized him — not even some of his Santa Monica neighbors who had relocated from Boston and knew Whitey Bulger by name and repute. Whitey had a reputation for brutality back home, but in California, he and Greig became known as just another pair of amiable retirees who stopped to pet dogs and cats during their daily walks. They strolled to Santa Monica Pier, Palisades Park, or past the upscale shops on Montana Avenue, where it was not unusual to spot celebrities. Often they headed to the Third Street Promenade, wandering among the outdoor mall’s designer clothing stores and gourmet restaurants. Street performers danced and sang; fortunetellers enticed passersby. Whitey and Greig liked to sit on the benches, people watching. They seemed unconcerned about surveillance cameras or that they had made their home just 4 miles from the Los Angeles office of the FBI. The notorious couple was hiding in plain sight. And it was working. JAMES “WHITEY” BULGER and Catherine Greig were an unlikely pairing: She was from South Boston but not completely of it. Many of her classmates were happy to go into the military or get a civil service job, something safe and secure with a good pension. But Greig declared in the 1969 Southie High yearbook that her ambition was “to have a medical career.” After high school, she enrolled in a two-year program at the Forsyth School for Dental Hygienists, then affiliated with Northeastern University. She proved very good at it; in her second year, a prominent periodontist and research scientist chose Greig to work in his lab. While Greig had vowed not to end up a young housewife without a career, she nevertheless married Bobby McGonagle, her first serious boyfriend, when she was 20. The marriage was troubled from the start. When McGonagle was caught in a compromising position with Greig’s twin sister, Margaret, he joked to family members that he had confused the two. They split up in 1973; their divorce wasn’t finalized till 1977, though Greig was by then dating Whitey Bulger. Cathy Greig was Whitey’s second choice to accompany him on the run. But Greig wasn’t the only woman in Whitey’s life. He had been with a single mother named Teresa Stanley for a decade when, in 1976, he moved her and her children from the South Boston projects into a brick-front Colonial he purchased on Telegraph Hill. Stanley, who was entirely unaware of Greig, provided Whitey with a level of domestic normalcy that balanced out his work as a criminal and FBI informant. He treated her four children as his own, even walking Stanley’s daughter Karen down the aisle and paying for her lavish wedding. But the children never called him Dad. Their nickname for him was Charlie. Women other than Stanley and Greig were welcomed into Whitey’s bed but never into his confidence. By the late 1970s, he had a routine. He dined at Stanley’s nearly every night, then slept elsewhere, usually at Greig’s apartment in Quincy. Even though she hated sharing Whitey, Greig was tolerant of his flings. Her response to his wandering eye was to make herself more attractive. She worked out daily. She got her teeth cleaned monthly. She had breast implants, a face lift, liposuction, and eyelid surgery. The girl once voted best-looking in her high school class had a complete makeover, all of it paid for by Whitey. For some two decades, Whitey’s life remained a complicated straddle of his criminal and domestic realms. There was a gang to manage, with operations in loan-sharking, extortion, and drugs; he had to sustain his bond with the FBI by supplying a regular flow of tips; and he was also still keeping two households, including the split-level in Squantum he bought Greig in 1986. Stanley was still in the dark about Greig, and Whitey wanted to keep it that way. That trick alone could test a man’s stamina. Whitey and Teresa Stanley, his girlfriend of three decades, on a 1980s trip to Europe. 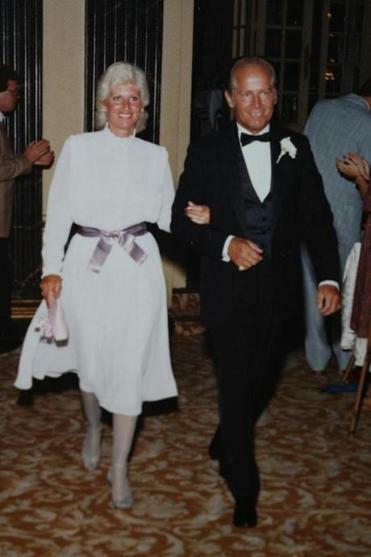 Stanley and Whitey at a wedding in the 1980s. inally, Whitey succumbed to his rage. “He grabbed Cathy by the neck, whipped her down to the floor, and started choking her,” Weeks later recalled. “He lost it. He had both hands on her neck, squeezing her. I thought he was going to kill her.” Weeks tugged hard on his boss’s arm, dragging him away from Greig and toward the door. Greig struggled to her feet, trying to regain her breath. ON DECEMBER 23, 1994, Whitey’s former FBI handler, John Connolly, stopped by Whitey’s South Boston liquor store. The agent, who called Bulger Jimmy, wanted to give the gangster the headstart he had long ago promised. As soon as Connolly left, Weeks beeped Whitey, who was just heading out with Stanley for some last-minute Christmas shopping. He was still being very solicitous of her. Whitey pulled his car in front of the liquor store, and Weeks climbed into the back seat. Weeks didn’t dare say anything. It wasn’t Stanley he was worried about so much as a bug. In Copley Square, Stanley wanted to go to Neiman Marcus. “Go ahead,” Whitey told her. “I’ll catch up.” Stanley went to window-shop, and the men walked to the back of the parked car. “Zip came by,” Weeks said, using Connolly’s nickname. He repeated what Connolly had told him. Whitey said nothing for a while, then turned and whistled sharply. “Hey,” he yelled at Stanley, “let’s go.” There would be no last-minute shopping. Whitey had a surprise: They were going to go on a trip. They spent Christmas Eve in New York and New Year’s Eve in New Orleans — staying at Le Richelieu, a boutique hotel in the French Quarter, under their actual names. Next, they drove to Clearwater, Florida, where Whitey picked up cash and some phony identification he had stashed in a safe-deposit box years earlier. Whitey was ready to take on his new identity but didn’t want to jump the gun. He checked back every day, and there was still no word of an indictment; maybe it was a false alarm. “Let’s go home,” he told Stanley a few days after New Year’s. They were somewhere on Interstate 95 in Connecticut when the news of Flemmi’s arrest came over the radio. Whitey immediately turned the car around and headed for Manhattan. In the days to come, Whitey tried to reassure Stanley that they were just on an extended vacation. But after a month on the road, she had had enough. She was homesick and also still miffed over Whitey’s affair with Greig. She had felt flattered, at Christmas, that he had chosen her to accompany him, but now it was February, and a life in hotels and motels and who knew where else was not appealing. “I want to go home,” Stanley said. Whitey didn’t seem surprised. He didn’t fight with her or browbeat her as he usually did to get his way. Instead, he dropped her off in the parking lot of a Chili’s, less than a mile from her daughter’s house in a suburb south of Boston. Their farewell, the ending of what was essentially a 30-year common-law marriage, was anticlimactic. “See ya,” Whitey said. “See ya,” Stanley replied. Whitey was soon back on the highway, navigating the 20-minute drive to Malibu Beach in Dorchester. What Stanley had not known, as she stepped out of Whitey’s black sedan with the new-car smell, was that he had arranged for Greig to join him on the run. Everything had been choreographed. It was almost as if they were eloping. Kevin Weeks drove around for an hour before he picked up Greig in Southie at 7:30 p.m. He repeated the routine before heading over to Malibu Beach. Weeks and Greig were walking toward the prearranged meeting spot when Whitey appeared out of the shadows. He looked like a cowboy: a Stetson, black leather jacket, jeans, and cowboy boots. Greig almost ran to him, throwing herself into his arms. They held the embrace. Weeks stood awkwardly to the side. “It was like something out of Casablanca,” he later recalled. Greig was glowing as they walked to Whitey’s Mercury Grand Marquis. He had chosen her; when it came down to it, he had chosen her. And he had married her. Not in real life, but in the lives they were about to assume. 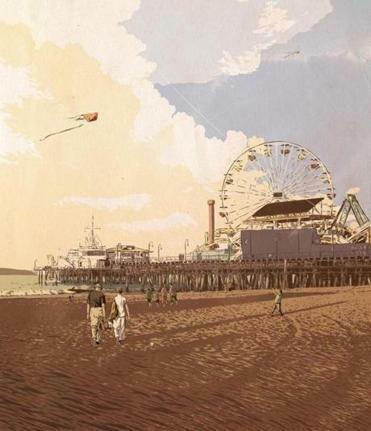 SANTA MONICA is a place where some people go to reinvent themselves, and that’s exactly what Whitey and Greig set out to do when they arrived in the fall of 1996. For nearly two hectic years, they had zigzagged the country by car and train, with long stops in Louisiana and short visits to Texas, Arizona, and Wyoming, among other states. But now they were looking to settle down, and the city had everything Whitey wanted: the sun, the ocean, and the anonymity of living in a vibrant place that attracts transients and vacationers. Their distinct Boston accents drew little attention. Being from somewhere else meant little there. The assumption was you had come for the same reasons as everybody else. Greig and Whitey photographed in Dorchester in 1988. As Whitey and Greig strolled along Palisades Park, he spotted a homeless man named Charlie Gaska. At first, Gaska waved him off, but Whitey was persistent, saying he could make it worth his while; all Gaska had to do was let him use his Social Security number. Not long after he pocketed the man’s identification, Whitey and Greig were standing in the manager’s office at the Princess Eugenia apartment complex on nearby Third Street. Whitey peeled off hundred-dollar bills to put a deposit on Apartment 303, a two-bedroom, two-bath unit that rented for just $837 a month. The two filled out a few forms, signing their new names: Charles and Carol Gasko. Whitey had changed one letter in Gaska’s name, a variation so subtle it would not arouse suspicion. They explained that they had no need for a reserved parking space in the basement of the complex, but that they would put some of their belongings in a storage locker. Charlie and Carol were model tenants. Every month, about a week early, Greig would deliver the rent to the office across the street, where a property manager would take their white envelope stuffed with crisp hundred-dollar bills and joke, “Carol, did you rob the bank again?” The two would laugh. The Gaskos acquired a reputation for being thoughtful neighbors and pleasant company, but they were also intensely private. They said that they came from Chicago for the warm weather and didn’t have any friends or family in the area — a plausible explanation for why no one ever visited. Using her alias, Greig subscribed to the Los Angeles Times and got Whitey a subscription to Soldier of Fortune magazine. An avid reader, Whitey amassed a collection of several hundred books, many about military history, war, and organized crime. Among the volumes were Escape From Alcatraz, The Master of Disguise, and American Mafia. Some, like Secrets of a Back-Alley ID Man, offered practical advice for the fugitive gangster on topics such as how to forge identification documents. Whitey used his newly acquired skills to create business cards for Greig under various fictional names. Whitey was wary, consumed with avoiding capture. Now in his late 60s, he sported a white beard and mustache. When he ventured outside, he wore large, old-fashioned eyeglasses and a fisherman-type canvas hat with the brim pulled low over his face. Greig, in her mid-40s, seemed more interested in appearing attractive than she did in disguising herself. She never left the apartment without makeup. The couple dressed casually but impeccably, generally both in jeans or light-colored slacks and white long-sleeved shirts over a T-shirt. Greig often wore all white — a white blouse, white pants, white sun hat. If Whitey had methodically abandoned everything connecting him with his old life, there was one thing he refused to give up: his stockpile of weapons. While on the run, he had collected some 30 shotguns, rifles, pistols, and revolvers, taking advantage of lax Nevada gun laws to buy some of them at a show in Las Vegas. He considered his collection a hobby. “It’s recommended to have a hobby after one retires,” he told a friend. Whitey cut several holes in the walls of the apartment, stuffing the guns, ammunition, and knives inside some; in others, he stacked neat piles of cash totaling hundreds of thousands of dollars. For day-to-day expenses, he kept a cash drawer in the kitchen, with neatly stacked rows of bills in denominations ranging from $1 to $100. Whitey slept alone in the master bedroom, leaving the guest bedroom to Greig. He kept a loaded handgun and a stack of crisp bills on a shelf next to his bed. His windows were covered with opaque plastic held in place with duct tape over which hung black curtains. He tucked several more loaded guns behind books on a bookshelf. At night, he often stood on their balcony with binoculars, canvassing the neighborhood for any sign that he was being watched. Mostly, Whitey and Greig’s life centered on the mundane. Greig kept a weekly planner, listing doctors’ appointments, department store sales, and when it was time to change the sheets on their beds. Greig ran all the couple’s errands, paying their utility bills with money orders. Knowing their cash might have to last for many years, they were frugal. Greig shopped at the 99 Cents store and T.J.Maxx. She used coupons and bought mouthwash and detergent in bulk. She made some purchases through mail-order catalogs, including the Vermont Country Store, which sells flannel nightgowns and New England jellies. She bought castile soap by the case from a Kentucky company and ordered Whitey’s $103 New Balance sneakers from Road Runner Sports. Twice a week, she shopped at the farmers’ market at the Third Street Promenade, pulling a metal cart down the street. They joined the AARP, through which they received senior discounts. Whitey had made millions in his years as a mobster, but now they lived on a fixed income like most other retirees. If Greig handled most of the household chores, Whitey took charge of a key task: making sure they didn’t get caught. They trolled places where the homeless gathered and bought identification like driver’s licenses and Social Security numbers from at least a half dozen alcoholics, drug addicts, and mentally ill people. Workable ID was essential for one of their occasional errands, the 2½-hour drive to Mexico, where Whitey could buy medicine for his heart condition without a prescription. Wanted posters for the two were circulated at the border, but no one ever spotted them. They were, however, probably on one of their Tijuana excursions when they stopped at the hair salon in Fountain Valley in 2000. 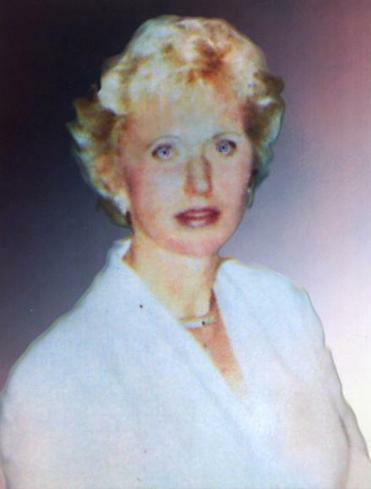 After the FBI publicized the sighting, Greig stopped coloring her hair, reverting to gray. The couple saw no need to uproot themselves, however. Whitey had no intention of reclaiming his old life — and, besides, he no longer bore much resemblance to the face on the Wanted posters. Whitey and Greig had been living at the Princess Eugenia for about 10 years when they began initiating more conversations, especially with newer, younger tenants. After years of keeping people at arm’s length, they seemed to yearn for social contact. Whitey regularly placed the free local newspaper at the doorsteps of the tenants he befriended, cautioning them to read the police blotter. When a young single woman moved in, Whitey offered self-defense advice. One night, the woman heard a knock and opened her door to find Whitey and Greig standing there. “You have to protect yourself,” Whitey told her, handing her a can of mace. Whitey, who turned 80 in September 2009, was beginning to show his age. Greig fretted over her arthritis and Whitey’s prostate and worried about paying their medical bills. She subscribed to magazines like Prevention, shopped for healthy foods, and put them on a reduced-sodium diet. He was not a very good patient. His aversion to doctors was so strong that he worried he might lose his temper with one and get himself in trouble. But Greig helped him control himself, often playing good-will ambassador when she accompanied him to appointments. He introduced her as his wife. It was true. After so many years in Santa Monica, Whitey saw himself, in fact, not so much as a criminal in hiding as a man in love. Greig’s loyalty, proven over so many years, meant more to him than anything. He was not a man prone to regret, but regretted not meeting her sooner. If he had, things might have been different. “By the time we met it was too late,” he wrote in a letter to a friend. 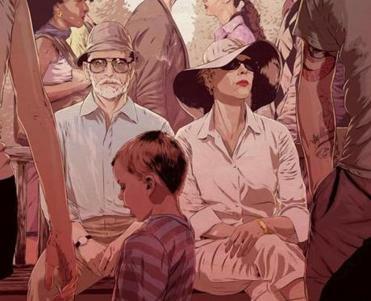 “I was in too deep, had done too much to even consider an honest way of life.” Whitey Bulger had not gone soft as much as he had gone native. He was a man of Southern California now, and he had never been happier. 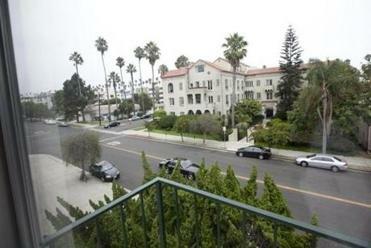 The view from the fugitive couple’s Santa Monica balcony, where Whitey would often survey the neighborhood with binoculars. If Whitey had been standing on his balcony, he would have been able to hear the “USA! USA!” chants floating up from the Third Street Promenade. But if the news of bin Laden’s death led to spontaneous celebrations in Santa Monica and across the country, it had a different effect on Whitey: With bin Laden off the FBI’s Most Wanted list, he was arguably now the bureau’s most notorious target. And for information leading to his arrest, it was willing to pay $2 million, the largest reward it had ever offered for a domestic target. The caution that had defined Whitey’s last 16 years — indeed, his entire criminal career — suddenly transformed into paranoia. He became even more of a recluse. He stopped circling items in the paper’s police blotter for neighbors. He stopped pestering the young woman in the building whose personal safety had so concerned him. He stopped cornering Josh Bond, the building’s property manager, for idle conversation. Greig now had to come up with new excuses for Whitey’s absence. For years, his health problems — some real, some invented — had been convenient cover for the rarity of his forays outside the apartment and his sometimes cranky behavior. Now she leaned on it even more. The descriptions of his illnesses were all over the map. Greig told neighbors they hadn’t seen Charlie because he was sick. He had been hospitalized. It was emphysema. It was his prostate. It was Alzheimer’s. Neighbors noticed that a handwritten sign appeared on the couple’s door, asking people not to knock. Although Whitey’s fears ebbed as the weeks passed, he had been right to be nervous. By spring 2011, the authorities were sure that the best way to get to Whitey was through Greig. She was more distinctive-looking than her companion, more likely to be out and about, and not nearly as hard-wired to caution. With $50,000, the FBI commissioned a 30-second television ad. It aired in 14 different markets during shows like The View and Live With Regis and Kelly, whose audiences were overwhelmingly female. The premise was that a woman might recognize Greig from a supermarket or a hair salon or somewhere else. The plan worked. Anna Bjornsdottir was sitting in her apartment in Reykjavik, Iceland, watching a CNN report on the FBI’s change in strategy when a face flashed on the screen. She realized immediately it was Carol, the nice woman she knew from visits to California. On June 21, Bjornsdottir called the FBI’s Los Angeles office, leaving a message on an answering machine. The couple was Carol and Charlie Gasko. They were in Santa Monica. The next afternoon, Greig returned a missed call from Bond, the property manager. “Josh, it’s Carol,” she said. “Did you just call?” Bond said the couple’s storage locker had been broken into and offered to meet them to inspect the damage or to call the police for them. Greig suggested that it would be best if her husband met Josh at the locker. Whitey grumbled, but he went down. Later, a neighbor saw Greig talking to FBI agents. She looked calm, even relieved. Greig and Whitey after being arrested on June 22, 2011, 16 years after he escaped indictment in Boston. Whitey described his plight in noble, selfless terms, as if he had come to see himself in the same benign light that Greig had seen him in throughout their years together. He would do anything to repay the loyalty she had shown him. And as she sat in a jail in Rhode Island, he longed for her. Greig, now 61, pleaded guilty in 2012 to harboring a fugitive and identify fraud and was sentenced to eight years in prison. She has since appealed that decision and a federal appeals court will hear arguments in March on whether her sentence should be cut to less than three years. Boston Globe writers Kevin Cullen and Shelley Murphy can be reached at cullen@globe.com and shmurphy@globe.com. 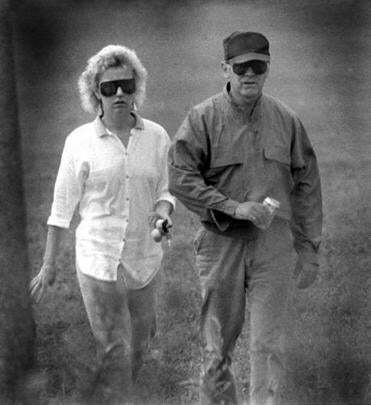 Clarification: An earlier version of this story’s subtitle did not acknowledge that it was Whitey Bulger who characterized his relationship with Cathy Greig as loving.